Three hero Rey's have already been approved, and I don't know how this was possible with the pending issues that are presented here. I'm not sure what the rush here is, and why these were approved. I respect Dawn's skill and talents, but again, this is premature. Obi? I don't seem to see that in the photo. I notice the undershirt, brown tunic, and tabards but no obi, feel free to correct me if I'm wrong? Did you buy your belt from here? Obi is there. heres a pic! Have any photos of the back of the costume been public? Using the toy is iffy, at best. I think this is a very important factor that needs consideration. I still just don't know how a standard can be written for a costume that we haven't seen yet in a film - even with promotional images. Just not enough angles (especially the back - and black series figures are not accurate enough). I believe there still isn't enough information because of this. I think it's risky and still premature. If the majority agrees, we can create a first version of Costume Standard (there are many references. We would lack a more detailed reference of the back). But having a Costume Standard (which will be changes in the future), can be very useful for judges and we have to be prepared because near and after the movie many legionaries are going to make this Costume. And the approval process takes at least 2 months. We have to have a minimum base. I agree with Jason that we need even a basic Costume Standard . We all know that the doll is not an acurate reference. But it can be useful now. Obviously it is my opinion and my contribution to the thread. We choose the alternative where everyone agrees. If everyone agrees, I can start the process. But, is it typical to have a standard being developed and costumes approved when we don't know what the back of the actual costume looks like? We haven't even seen a full trailer. Hopefully, that will have a good view of the back and we can move on. Just seems to me that waiting until the whole costume can actually be seen by the public would be a more sensible way to proceed. Honestly, I think it's fine to approve the costume with the references we have. Based on the action figure, I highly doubt there will be anything crazy happening on the back. Maybe there might be an additional seam or two but these are not details that make or break a costume. 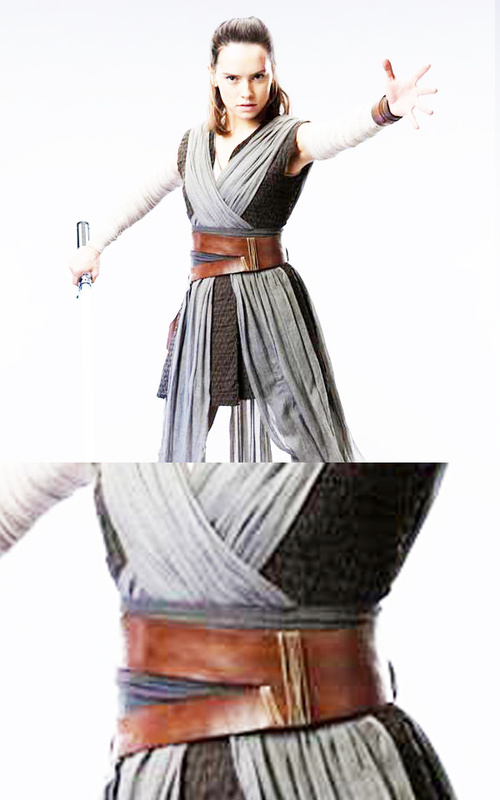 From what we know of the front of the costume and the action figure we can decently infer what the back looks like. I think the costumes that have been approved are of excellent quality and will have a positive impact at any event. I agree. I think the photos that came out of the set, the video Behind the scenes and the action figure are pretty good references. There may be minimal differences. I think we have enough material to create a first version of the Costume Standard . 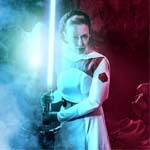 And having approved Costumes (which match Lady Solo are of excellent quality) produces a positive feel. In addition, the research work, armed with the proposal and the references found (with the analysis) of Dawn is great. She did an excellent job that will be very useful. The tabards, I talked with a few of my friends who are in Endor base, we examined the tabards and they appear to be lighter than regular cotton gauze, perhaps wool? It really shows in the "Star Wars The last jedi behind the scenes" video that was posted a couple weeks ago. Agustín is nothing short of awesome, capable and an amazing judge. Thats not just me tooting his horn. But also I honestly would NOT have submitted had I ay indication that the back was different from that toy. At the end of the day. What would someone anticipate would be there? The toy shows nothing. The side and fronts match the toy to the ref we have. Yes toys are good secondary ref and in the case of these toys I do think that they are direct 3d scans (as they were in the case of TFA and many other toys). That toy aside really the front and two side shot full body Photos we have are pretty fantastic and offer a very clear view. The boots were my biggest concern. They were the last piece of ref that just needed to come out. we got it simultaneously with the toy release and the promo images and the D23 image from the video. Have a great day all and may the force be with you!!! I am more curious about the process of creating standards and learning more about how it is done, which I have done through this discussion. One side note: the SW figures are not developed from 3D scans, nor were TFA ones. They are digitally modeled/sculpted. This is very different than 3D scans. 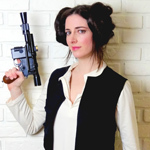 We have a LOT of girls with their costumes nearly done who would like to start trooping with this costume, and it would be sad if the standard got hung up for too long. I think this looks great, and was one of the main things I was going by when making and submitting yesterday. 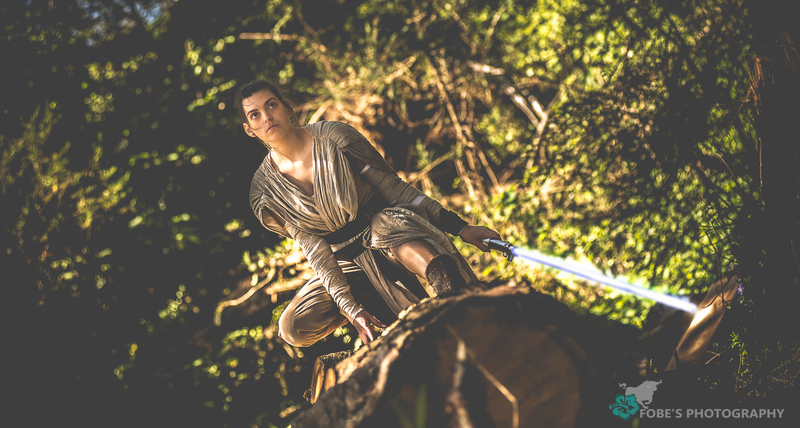 Unlike Resistance Rey (the standards of which need slight updating now) this costume isn't as crazy detailed, thank goodness, and many people were able to get their hands on the screen accurate fabric before it ran out, so I think we will see a flood of submissions come in, and waiting on a standard too long to get approved would be frustating for them, you know. I agree, what was done with Luke worked great! BTW, how do we go about proposing changes to a standard? I would like to submit changes for Resistance soon.